We have often heard the adaptation of Herodotus’ statement that Egypt is the gift of the Nile. The flooding of the Nile in ancient times was the key to the prosperity of the Nile Valley. All along the Nile there are still examples of the Nile-o-meters that were used to measure the flooding. The higher the flood water, the more taxes that would be paid into the temple coffers. In the photo below we see the meter on the Nile at Elephantine Island at Aswan. Notice the water lines along the rock structure. Entrance to the Nile-o-meter is from above, or from the opening to the right of center. Nile-o-meter on Elephantine Island at Aswan, Egypt. Photo by Ferrell Jenkins. The photo below provides a better view of the Nile-o-meter. 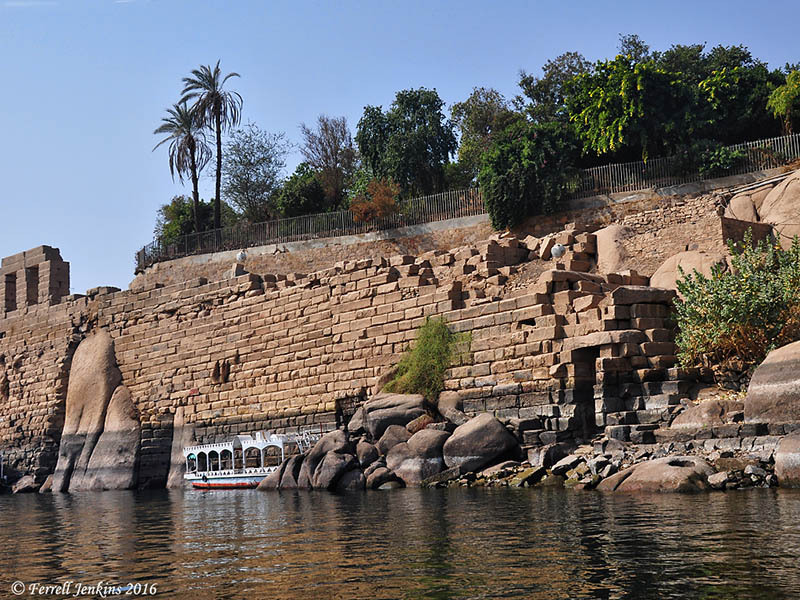 Nile-o-meter and steps on Elephantine Island at Aswan, Egypt. Photo by Ferrell Jenkins. The principle is the same today. We pay taxes based on the amount we have earned within a year. 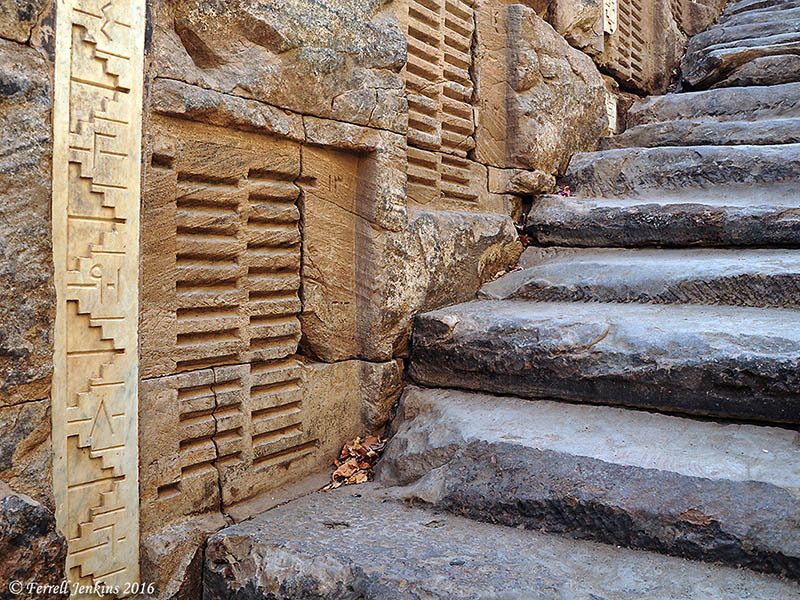 This entry was posted in Bible Lands, Bible Study, Culture, Egypt, New Testament, Photography, Travel. Bookmark the permalink. Yes, it’s very interesting how the Nile-ometer, in the form of a tall, graduated column — and Egyptian motifs generally — found their way into Roman-Byzantine mosaics in Palestine. Besides the amazing villa at Sepphoris, the other one that comes to mind is in the “Loaves and Fishes” church at Tabgha on the Sea of Galilee. Thanks for this – there is also a wonderful mosaic depicting a Nile-o-metre at Zippori in Israel.